As the transfer merry go round kicks into gear the Hammers gave moved quickly to address their longstanding problem at right back by capturing Pablo Zabaleta from Man city. Zabaleta is no spring chicken at 32 years of age, but will bring his experience and discipline to the position with the hope that young Sam Byram can learn from the Argentinian veteran. Meanwhile, the rumours about regarding their other key area of deficit as they have been linked with a series of forwards. 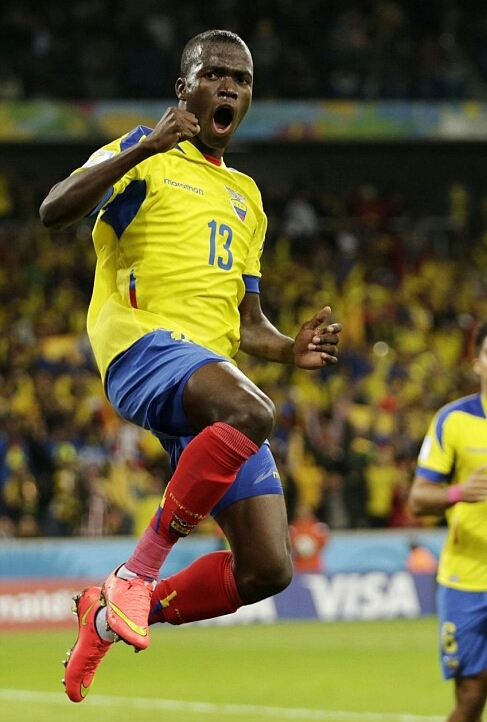 In other news, it appears that Enner Valencia will be returning from his loan spell at Everton. After 21 appearances and three goals, his contribution at the Toffees has mirrored his in and out form over the two previous seasons at West ham where he managed 8 goals in 54 appearances. Valencia has not managed to bring his prolific scoring at International level to the Premiership but with Gokhan Tore departed, he may be deemed a useful squad member as Superslav looks to push for top six status next season. What do you think? Should we hold on to him in the hope that he has finally adjusted to the physicality of the Premiership or let him go? Did great when played with Sakho, keep them both as back up to the youngsters we are about to sign and get rid of Carroll.